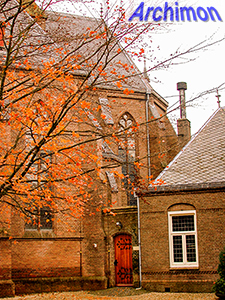 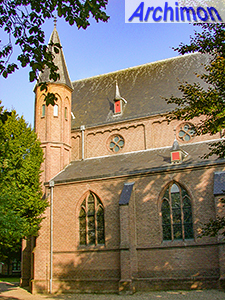 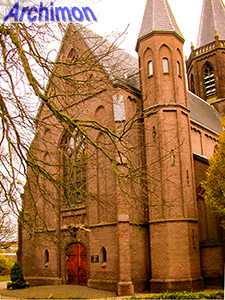 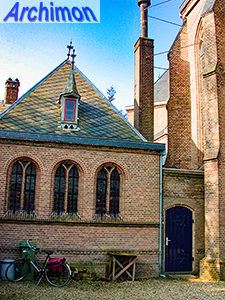 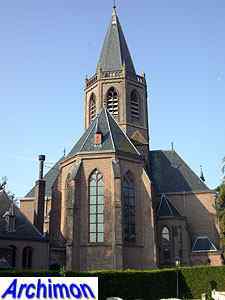 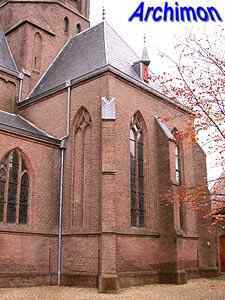 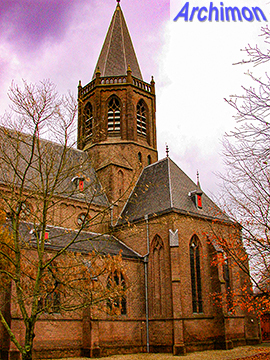 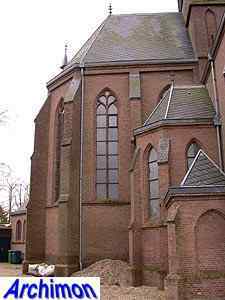 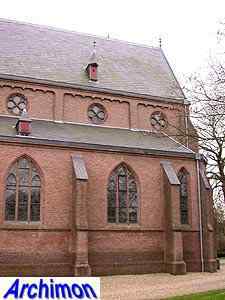 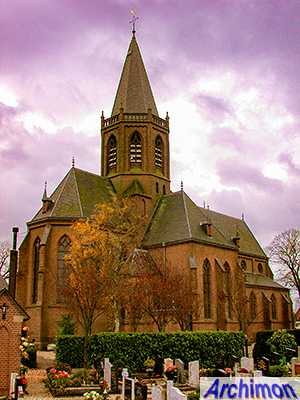 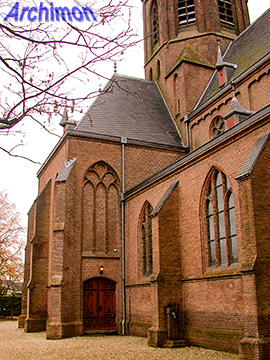 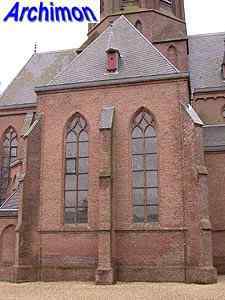 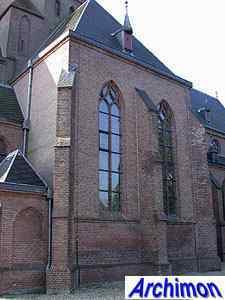 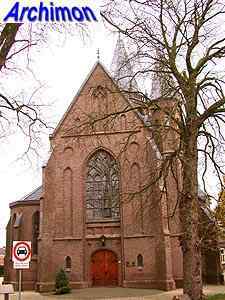 After the ban on the catholic religion was lifted at the end of the 18th century the old church of Houten remained protestant. 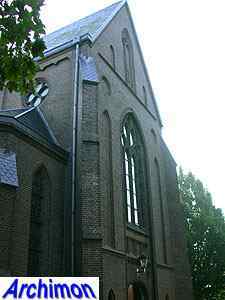 A new catholic church was built in 1884-1885. 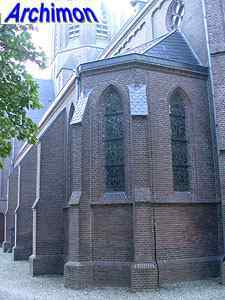 It's a three-aisled cruciform basilica in neo-Gothic style, designed by architect Alfred Tepe. 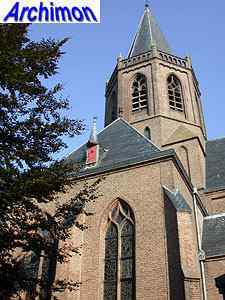 The design is characterised by the lack of a conventional tower; there's a hexagonal tower on the crossing instead, plus a small stair-turret next to the facade. 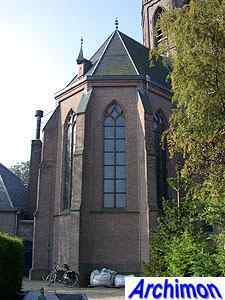 This is the only time Tepe used a crossing-tower for one of his designs, an idea that he took from churches in the Ardennes. 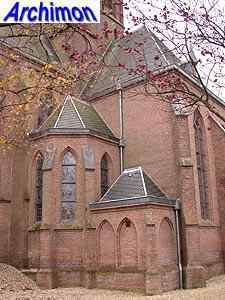 Also the Romanesque details, which are especially present in the clerestorey, make this an exceptional design in Tepe's career which otherwise was rather conservatively Lower Rhine Gothic-minded.